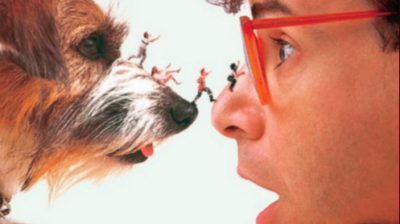 Are searchers bailing out before they even get to your website? 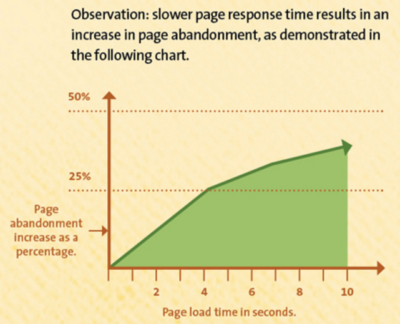 The average user has very little patience for a page that takes just too long to load. In fact, in a survey done by our friends at Kissmetrics, 49% of people expect a website to load in less than 10 seconds with almost 20% leaving a page if it takes more than 5 seconds. Those numbers skyrocket if people are using a smartphone. So if fast loading webpages are becoming the norm, how do you fix your website? In this article, we hope to give you a place to start addressing page load speed issues for your website. There can be many areas that are bogging down your website. 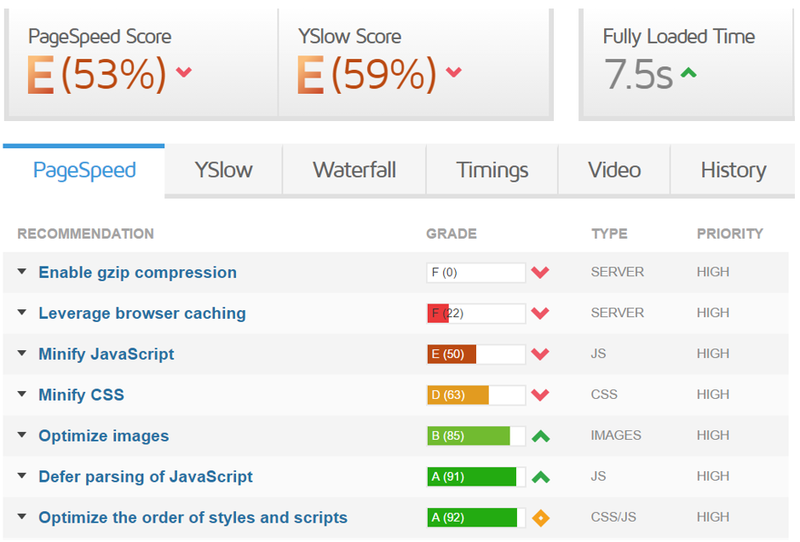 Below are the top 7 culprits to slow loading web pages. As part of Phase II of our SEO program, we help improve the user experience for a client’s website and that includes fixing the problems associated with slow page load speeds. The first thing we do is identify what are the problems. We use several tools to tell us what is wrong. GTMetrix.com is just one of a few examples. Google also offers a tool called Page Speed Insights to help you diagnose where the problem is. Pingdom.com also has a page speed test that allows us to see this data in a different way. And as you can see, the file compression and browser caching are High Priority items on my list of areas to address first. To fix these items, we will need access to the .htaccess files or the main server configuration file. Each server type has a different way of editing these files for improved caching and page speed and we recommend you don’t tackle this on your own. What is Browser Caching All About? We try our best to make all these adjustments without adding plugins to a website. But sometimes we need them if we don’t have access to the configuration files. In most occasions, a client’s website was built by a designer with VERY LARGE IMAGES. If we were viewing websites on a 54” wide screen TV, I might be overly concerned with image quality. All of the tools listed above will tell me exactly what images are slowing a website down to a snail’s pace. Once we know who the problem children are, we can start with resizing the big ones and correcting file formats. In addition to resizing images, it is important to serve scaled images, apply compression to images and remove any unnecessary meta data. This Image Optimization Checklist will help with the ways your webmaster should approach image optimization. 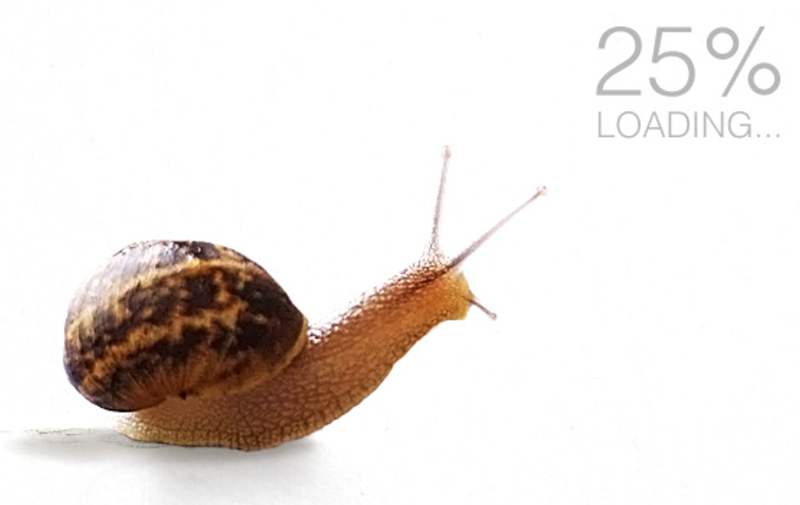 Above are the top culprits to slow page load speeds and how you can make your website faster. Each website is different and has its own set of problems. If you have a webmaster that can tackle this problem, by all means, start today!